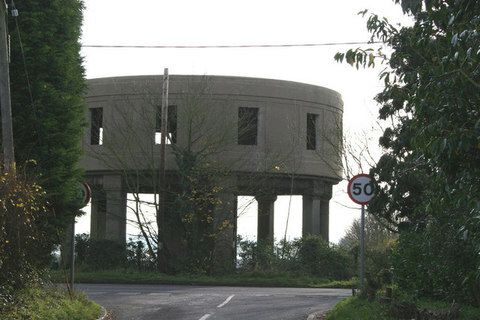 You could be forgiven for thinking this unusual structure has the potential for a UFO style house. Definitely up there as far as an unusual homes go – this structure has planning permission to convert into a 4 bedroom house. 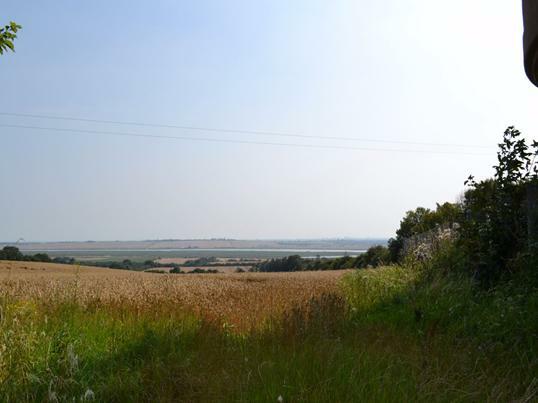 Accommodation designed to be over three levels with enclosed platform enjoying panoramic views over the Crouch Valley and Dengie Peninsular. 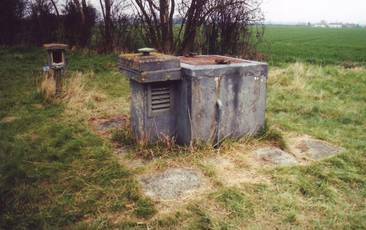 The Water Tower at Latchingdon was constructed during the 1930’s and housed the water supply for the low-lying surrounding villages. The design is consistent with towers of this period yet each one delivers it’s own architectural, historical and engineering uniqueness. The proposed accommodation will comprise an enclosed entrance hallway opening to the study, formally the engineers room. A new staircase will be located beneath the main drum, rising to the 1st floor. The main concrete drum measures approximately 14m in diameter and will be divided to incorporate four spacious bedrooms with a family bathroom and en suite facilities to the master bedroom. A further staircase will rise to a newly formed upper storey with open plan living accommodation, including kitchen, laundry area and w.c. To the south of the tower, following on from the living accommodation, is a viewing platform with enclosed balcony offering commanding views over the Crouch Valley and south Essex. Planning permission was granted by Maldon District Council for a single residential conversion in 2006 under application number FUL/MAL/06/00768. Subsequently, within the 3 year period of the original planning permission, some preliminary structural work has been undertaken which has therefore satisfied condition 1 of the planning permission. 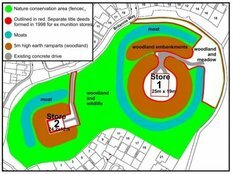 The planning permission is open for modification subject to the necessary consents enabling an incoming purchaser to add their own impression on this unique structure. Here is a report by Essex County Council with some excellent detail and photographs. Note, the photos are before the window holes were cut into the structure …. The property occupies a slightly elevated position enclosed by chain link fencing. 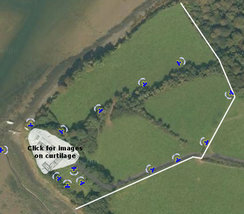 The main proportion of the garden will be located to the west of The water tower. To the top floor, there is to be a viewing platform with enclosed balcony providing panoramic views over adjoining farmland and views over the Crouch Valley. In all about 0.1 of an acre. Agents Note: Access to this building is considered to be dangerous. Appointments are to be made strictly through the sole agents, Fenn Wright, with any prospective purchasers inspecting at their own risk. Helpful Floor Plan – Proposed …. 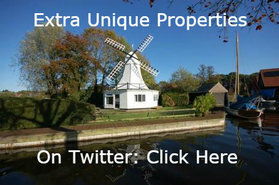 Location: The Water Tower, Lower Burnham Road, Latchingdon, Essex, CM3 6LA. Contact Fenn Wright Agencies Tel: 01245 292100. Three things captured our imagination with this building. 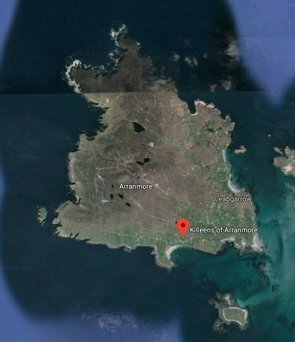 It isn’t that far from where we are and from visiting, this is a fine part of the country. 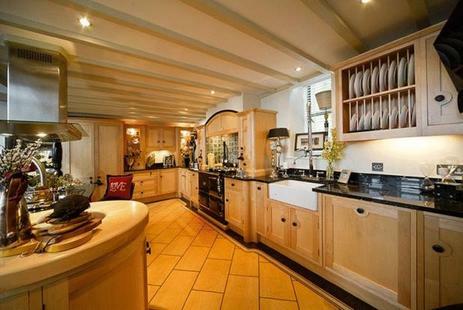 The price is very good considering this is a detached home in it’s own grounds. The third is that whilst this isn’t a Charles Rennie Mackintosh time built original, it is certainly in the style of the great man. It is an irony, with many great people, that they are only truly appreciated after their time. 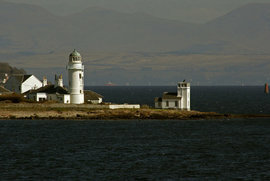 With Charles Rennie Mackintosh, he is known for many “unbuilt” projects. Anyone studying this genre…. 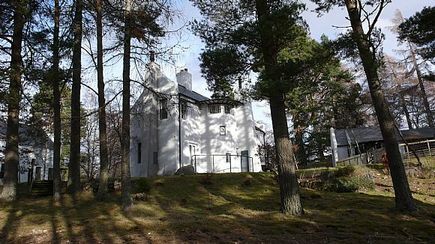 … may be able to see the reflection of a Charles Rennie in the various photographs of South House. 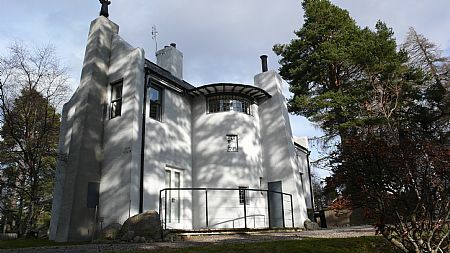 South House – not the only Mackintosh influenced design at Farr – represents a rare and unique opportunity to acquire a stunning home set in a charming woodland location while being within easy reach of Inverness City, and Inverness Airport with direct flights to London. So this building isn’t that far away given the regularity of direct flights to one of the top capital cities of the world. Location: South House, Farr, Inverness, IV2 6XB. Let alone the connotations of the aroma of ammonia ! But it all worked out very well …. Since then we have been asked many times to keep our eyes peeled for odd property in London. So in our wee endeavour to keep a promise and fulfil it, we have hit gold. Well maybe a yellow shade of gold (sorry). 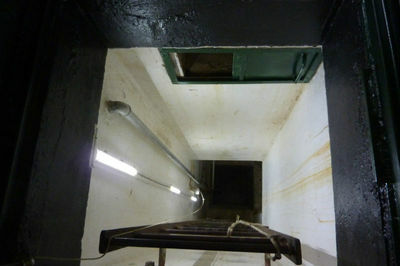 Here is a former underground and ground floor two storey former public facility for you to develop at your convenience. This building has already had a planning application succeed. Our own perspective is for the old fashioned mixed use. That is for a home, and a part of the building to run your business from. This would require a new planning application. Indeed the architects have already prepared detail for a range of uses, from the already granted planning consent for restaurant (A3) with public alfresco roof terrace to other possibilities. 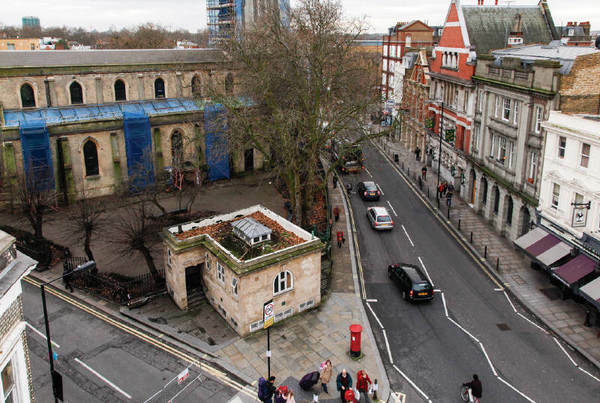 Our suggestion in listing this unusual and striking London property is also to increase the number of city buildings listed at Unique Property Bulletin – by popular demand. Very prominent corner position at junction of Vanston Place, Walham Grove and North End Road, close to Fulham Broadway. Fulham is a prosperous West London suburb situated some 3.5 miles west of Central London in the Borough of Hammersmith and Fulham. The area benefits from excellent transport links with Fulham Broadway Underground Station being located a very short distance to the east providing a regular service into Central London. 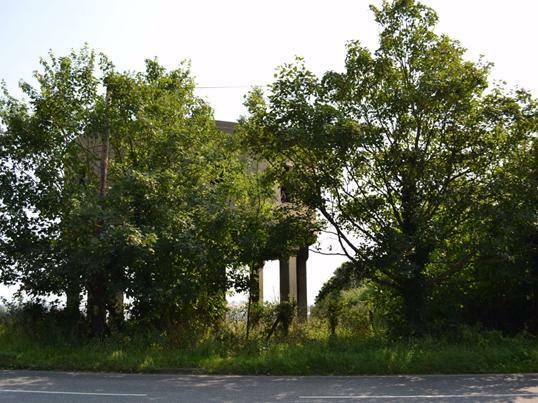 The property which is located in the local Conservation Area is situated at the junction of Vanston Place and North End Road adjacent to St John’s Church. Occupiers close by include Marks & Spencer, Waitrose and Sainsbury’s. Chelsea FC Football Ground is also close by. The property is arranged on ground and basement floors and benefits from full detailed planning consent and conservation area consent which was approved on 16th July 2012 (Ref Nos: 2012/01457/FUL and 2012/01458/CAC) and which can be viewed on the Hammersmith & Fulham planning website for the demolition of the existing building and erection of an enlarged replacement single storey building, including a roof terrace at first floor level in connection with the use of the building as a restaurant (Class A1, A2 & A3) and the retention of the existing basement. Helpful background information for Bulletin readers …. Location: Former W.C., 2-4 Vanston Place, Fulham, SW6 1AY. 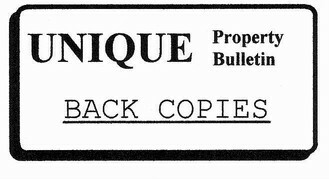 Guide: £190,000 to £200,000 plus VAT – Auction – Lot 15 – 5th February 2013. Contact Allsop Auctioneers Tel: Our Friend Alex Neil: 020 7543 6895 or 07766 415284. Apologies to Sherlock Holmes for the title of this. 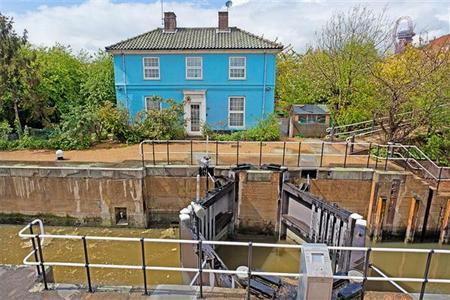 Here we have a very colourful building – a former canal side Lock Keeper’s House at Blaker Street, London. 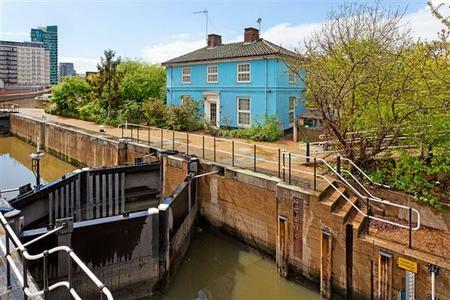 Anyone with a love of canals, or even engineering may be impressed with the fabulous double lock gates on the canal over which the house looks. 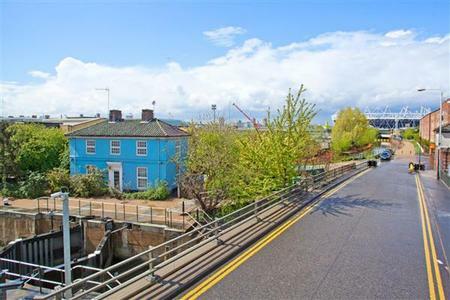 This detached property is located at City Mills Lock in the heart of East London and is close to the Olympic Village and Westfield Shopping Centre. Representing a lot of property – in London – for the money, this home was built circa 1933 and has waterways to the front and rear of the building, attracting many types of wildlife. 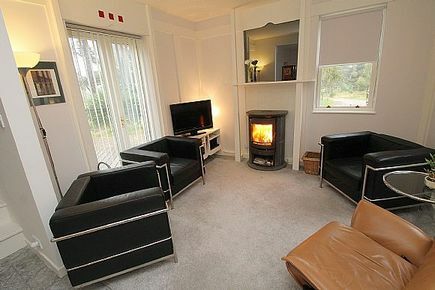 The property does require some updating and refurbishment but offers plenty of potential. Approximately 1187 sq feet of accommodation. 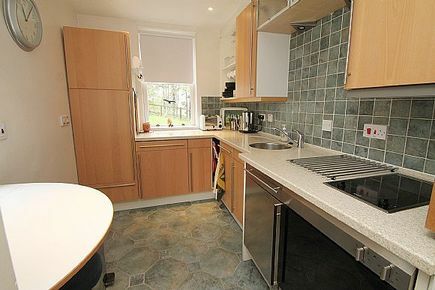 Close to Westfield Shopping centre and many local amenities. Olympic Village and Regeneration Area. Location: Lock Keeper’s House, Blaker Street, London, E15 2PY. 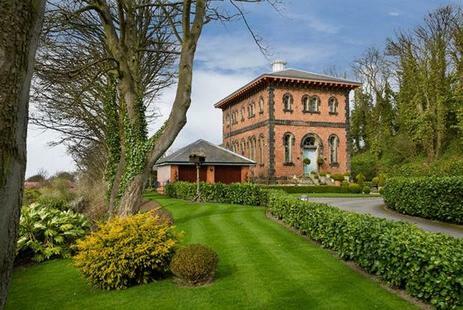 This handsome former pumping station engine house has had the full works of restoration lavished upon it. The epitome of how these old, often forgotten, but historic parts of the British industrial heritage can be brought back to life, whilst keeping much of the original character of the building. 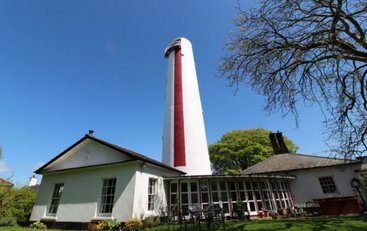 We are delighted to offer for sale this outstanding bespoke listed property which offers a simply rare opportunity to acquire a fine building in the North East of England. The Engine House is situated within the award winning Cleadon Water Works development which was beautifully converted and developed by River Green comprising of four properties created from the refurbishment and adaptation of a disused 19th Century Water Pumping Station designed by Thomas Hauxley, the eminent Victorian engineer. 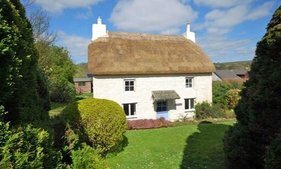 The property has much character and whilst finished to a superb standard still incorporates some of the original features with exposed beams and delightful arched windows. In order to fully appreciate the standard and quality of the finish an internal inspection is essential. 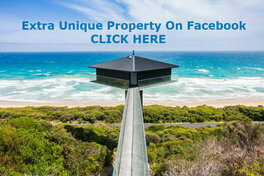 The property is situated on an elevated site and enjoys panoramic views around the surrounding area. From this quiet tree lined location it is hard to believe that the property is within such close proximity to the well regarded village of Cleadon which is considered to be the most sought after village locations on the North East. 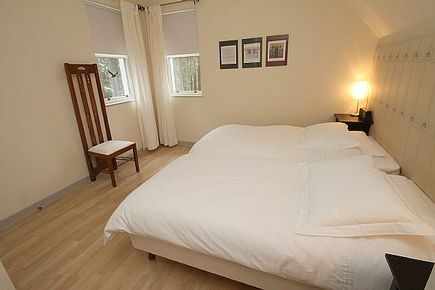 Accessibility throughout the region from the village is easy with Sunderland City Centre located only 4 miles to the south, Newcastle Upon Tyne situated approximately 6 miles to the west and Durham City situated approximately 15 miles to the south west with easy accessibility via the nearby A19 and A691. 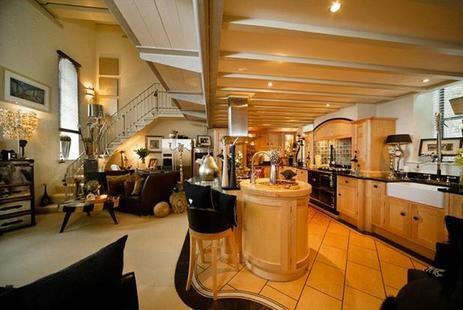 Open Plan Living Area With Engine House Features. 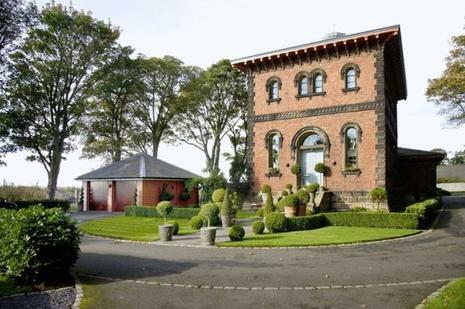 Location: The Engine House, Cleadon, South Shields, Sunderland, SR6 7QE. Contact Bradley Hall Chartered Surveyors Tel: 0191 383 9999. 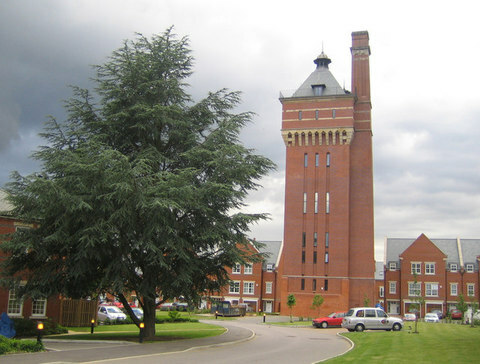 We started this week’s Unique Property Bulletin with a water tower for renovation, and we are ending with a splendid example of another style of water tower. This time completed. 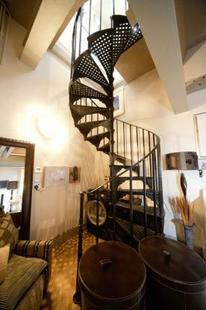 The standard of renovation is extraordinary. The photographs are excellent. 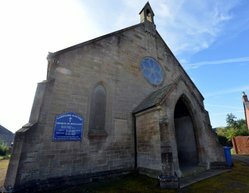 Unfortunately we have had bother obtaining copyright permission, so the thank goodness for Nigel Cox helping us out with an exterior photograph we can show that illustrates this magnificent building. 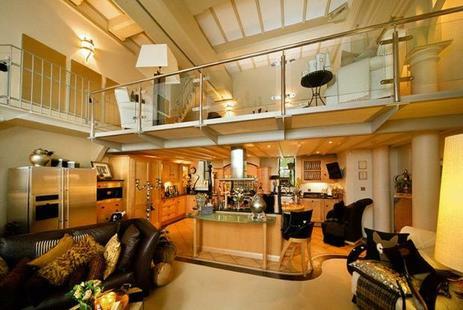 Now converted to a home with five bedrooms, this detached property is arranged over seven floors. There is a unique sky pool. Luckily the building has it’s own lift, otherwise with all those stairs, your thigh muscles would grow to something from the Incredible Hulk. Not just the Hulk that is incredible, so is this building. There is also an 86 foot private garden. Apologies for being light on the detail here, but lots of nice photographs can be found on the weblinks below. Location: The Water Tower, London Colney, St Albans, Hertfordshire, AL2 1UX. 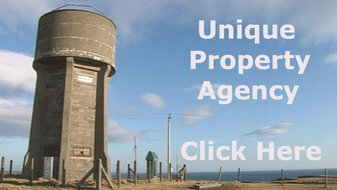 Contact Unique Property Company (not connected to ourselves) Tel: 0870 900 4050. Online Brochure Via Dropdown Menus At…. Or if you have similar problems as ourselves loading the site, an easier look-see can be located at…. 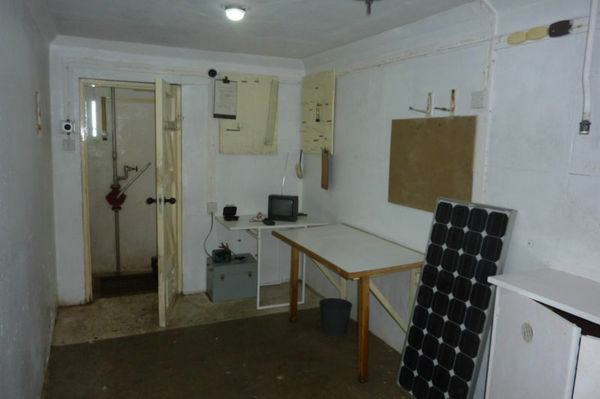 Well the Mayan Prophecy has come and gone, but for some unfathomable reason we are still receiving emails asking for more of the former UKWMO Royal Observer Corps Cold War Nuclear Bunkers. In spite of a regular trawl of the hotspots where these undergound odysseys can be found, none are around just now. This week one of our readers has asked for a photo advert (these appear at the top right hand of the MAIN website pages – just click on the photo for further information). 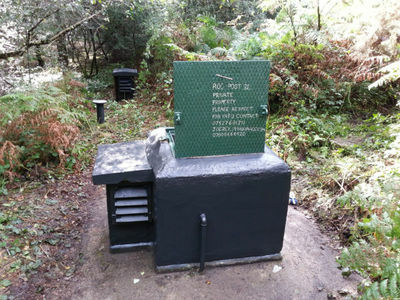 Air Fields, Air Control Towers, Aircraft Hulls, Air Raid Shelters, Amazing Spaces, Barns, Bastle Houses, Bridges, BT Telephone Exchanges, Bunkers, Canals, Canal Boats, Castles, Caves, Churches, Cinemas, Coastguard Towers, Community Dwellings, Container Houses, Customs Houses, Dams, Distilleries, Earth Dwellings, Engine Houses, Fire Stations, Foghorn Buildings, Gasometers, Harbours (For Ships), Helicopter Houses, Hobbit Houses, Hospital Buildings, Hotel Buildings, Ice Houses, Infinite Spaces, Islands – Private, Islands – Small Community, Jails, Keepers’ Houses, Libraries, Lifeboat Stations, Lighthouses, Lodges, Lookout Defences, Loos, Man Made Home, Martello Towers, Ministry of Defence Buildings, Movie Sets, Multi Storey Carparks, Nuclear Bunkers, Oil Rig Modules, Orangeries, Pig Sty & Pig Sties,, Police Stations, Post Offices, Printing Works, Pubs, Pump Houses, Queen’s House, Railway Carriages, Railway Stations, Rocket Stations, Schools, Shipping Container Houses, Ships, Ship Hulls Landbased, Signal Boxes, Steam Houses, Stately Homes, Subterranean Dwellings, Sustainable Homes, Tide Mills, Toll Houses, Tunnels, Underground Railway Carriages, Underground Stations, Unusual Eccentrics, Valve Houses, Vicarages, Walled Gardens, Warehouses, Water Towers, Water Treatment Works, Water Works, Weird Buildings, Wild Cards, Winch Houses, Windmills, Wind Turbines, X Factor, Yachts, Zoos.